While the group celebrates the end of a yearlong project, residents say they miss the wildlife that used to be in the area. 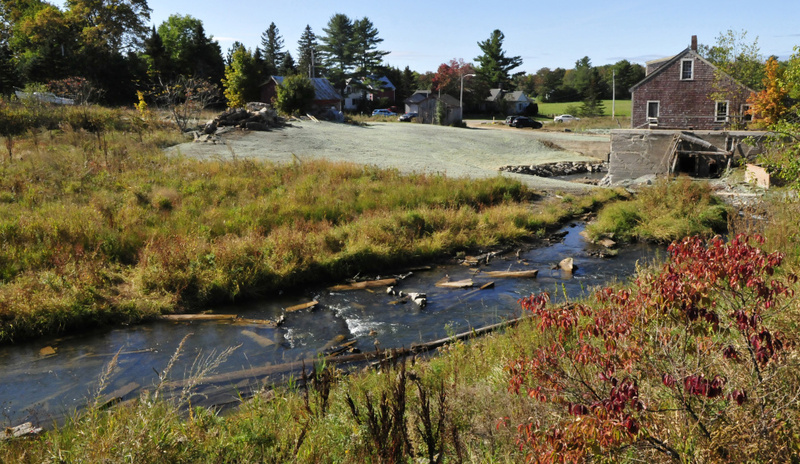 VASSALBORO — A group hoping to restore alewives to China Lake has removed the Masse Dam from Outlet Stream successfully after spending more than a year on the controversial project, part of a comprehensive 30-year effort to bring alewives back to historical levels in lakes throughout Maine. “I think we all feel a huge sense of relief,” said Landis Hudson, executive director of Maine Rivers, one environmental group in a partnership called the Alewife Restoration Initiative, or ARI, hoping to restore the herring species to the lakes of Maine. The China Region Lakes Alliance, another group in the partnership, won a permit to remove the dam in July. The Maine Department of Environmental Protection previously had rejected the group’s application for a different type of permit in August 2016. Some residents opposed the project, which they said would ruin the area for wildlife and residents. While they aren’t against alewives going into China Lake, they said they weren’t happy with the way the alewife group, also called the ARI, handled the project. The permit approval said biologists found that the dam removal wouldn’t “unreasonably impact” the area’s wildlife, although some say the removal already has driven animals away. In the mid-1980s, the Maine Department of Marine Resources adopted a plan to restore alewives to their historical range in lakes throughout Maine, including the fish passageway that leads to China Lake. 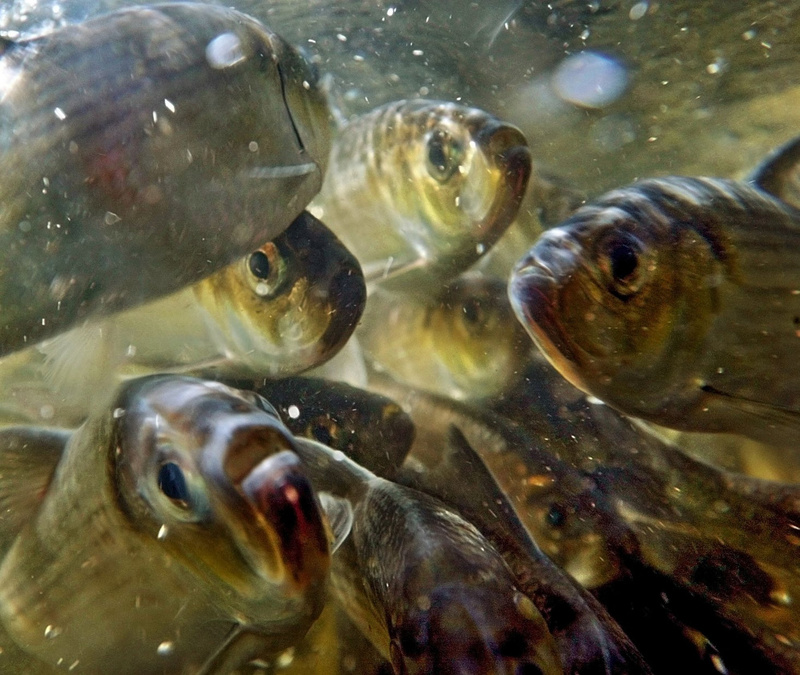 Alewives spend most of their lives in the ocean, but they return inland every year to spawn. Young fish spend the first few months of their lives in freshwater lakes and ponds before migrating to the ocean. The fish mature at four years, when they return to reproduce. The removal of other dams in central Maine has brought alewives back to the Kennebec River. In 1999, the Edwards dam in Augusta was removed, followed in 2008 by the Fort Halifax dam in Winslow. An estimated 3 million adult alewives now travel from the Gulf of Maine to inland spawning grounds, such as Sebasticook Lake. In one town, the return of the annual alewife run also has brought economic benefits. 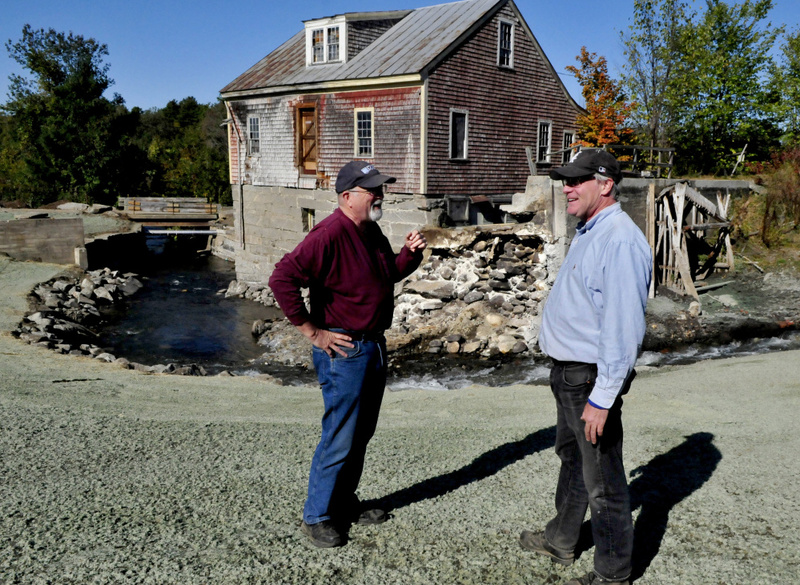 Alewife harvesters give the town of Benton one-third of their revenue, which comes out to about $20,000 each year. Cross Construction, of Bethel, removed the 17-foot-tall dam at the end of last week. Hudson wouldn’t say how much the removal cost. The entire project is estimated to cost more than $2.5 million. The group has received undisclosed funding from the Maine Natural Resources Conservation Program, Patagonia, the Maine Outdoor Heritage Fund, The Nature Conservancy in Maine, the Davis Conservation Foundation and the Elmina B. Sewall Foundation. The town of China also voted to contribute $20,000 in economic development funds to the project. The impoundment behind the dam was drawn down last year to prepare for the dam’s removal, Hudson said, so the water flow won’t be changing much. Behind the dam, the area already has changed and plant growth has begun, she said. A youth conservation group removed invasive species and replaced them with native plants this past summer. 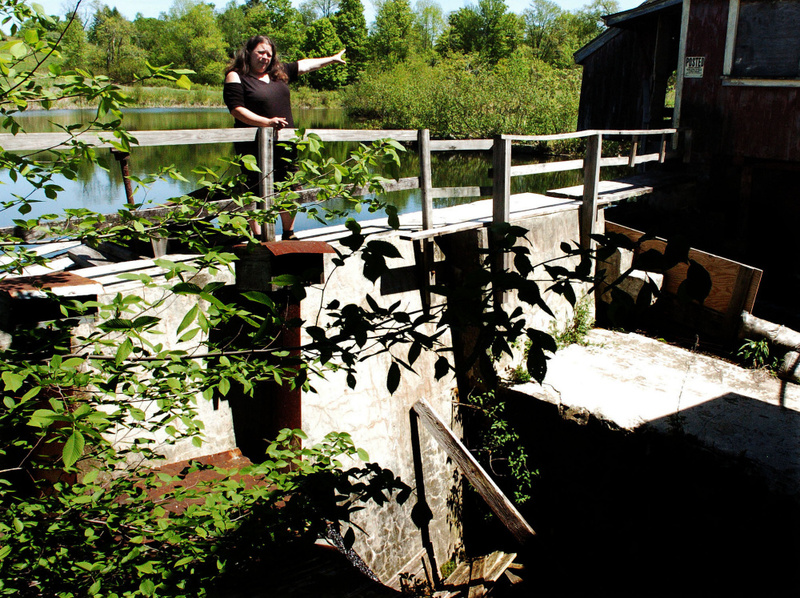 The alewife group tore down a historic but deteriorating sawmill, owned by Masse descendant Don Robbins, and relocated water pipes that belong to the East Vassalboro Water Co. along the Outlet Stream last September as preliminary steps before the dam removal, Hudson said. 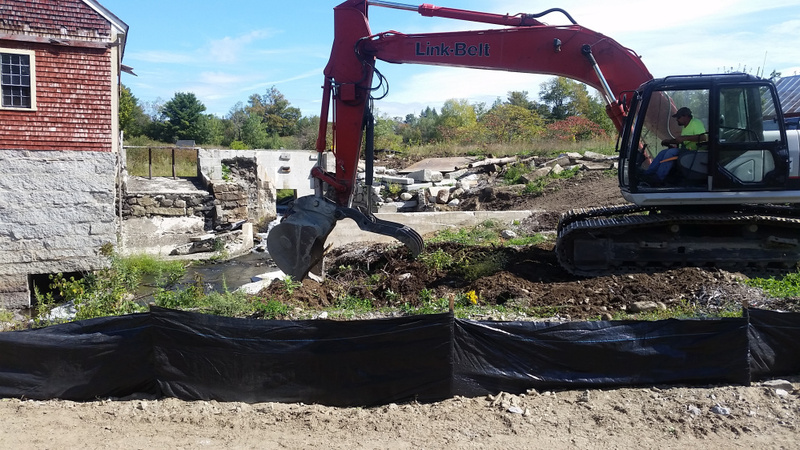 ARI is continuing to work on other dams along the Outlet Stream, from North Vassalboro to East Vassalboro, to make migration to China Lake possible. A number of dams won’t be removed, and ARI instead will install fish passageways that will allow the herring to swim through. If successful, up to 950,000 adult alewives could migrate from the ocean to China Lake annually. There are no set plans for harvesting alewives yet — lobstermen use them as bait — as dams still need to be removed or made passable. “Restoring alewife runs in our rivers and streams contributes to the health of the entire Gulf of Maine because alewives are forage fish for the larger species including cod, haddock, tuna, striped bass — and food for eagles, ospreys and otters,” Hudson said in an ARI news release. Some say the alewives, which carry phosphorous with them back out to the ocean, could help improve the water quality in the lake. However, a study commissioned by the Kennebec Water District found that while the alewives would not cause any harm to the lake, they also would not make a sizable difference to its quality. 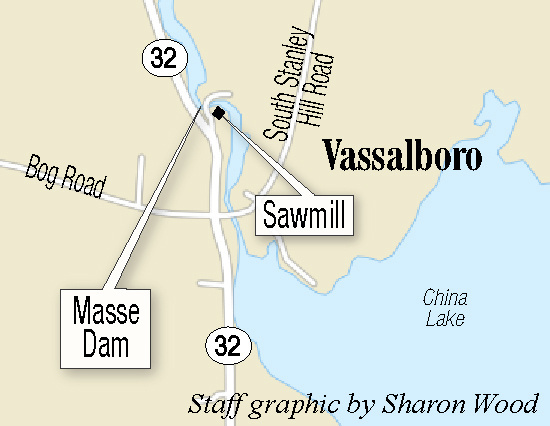 Before the permit to remove the dam was approved, Hartman and Jonathan Blumberg, both Vassalboro residents, wrote a letter to the commissioner of the Department of Inland Fisheries and Wildlife asking that the issue be transferred to the Board of Environmental Protection. The letter accuses the commercial interests and state departments involved in the plan to bring alewives to lakes in Maine of exploiting local resources in Maine towns. They asked for a public hearing and the denial of the application. The Department of Environmental Protection found that the request didn’t meet the necessary criteria to move the case to the board’s jurisdiction or require a public hearing.